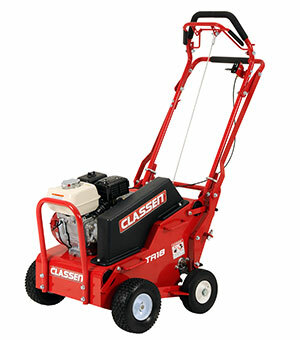 Classen added the TA18 to its aerator lineup. The 46-inch-long aerator is 27.2 inches wide and can aerate at a speed of up to 4.2 mph. Additionally, this aerator has five banks of tine wheels, tight tine placement and can pull 15 percent more holes, the company said. Classen backs its compact TA18 aerator with a two-year rental and commercial warranty.